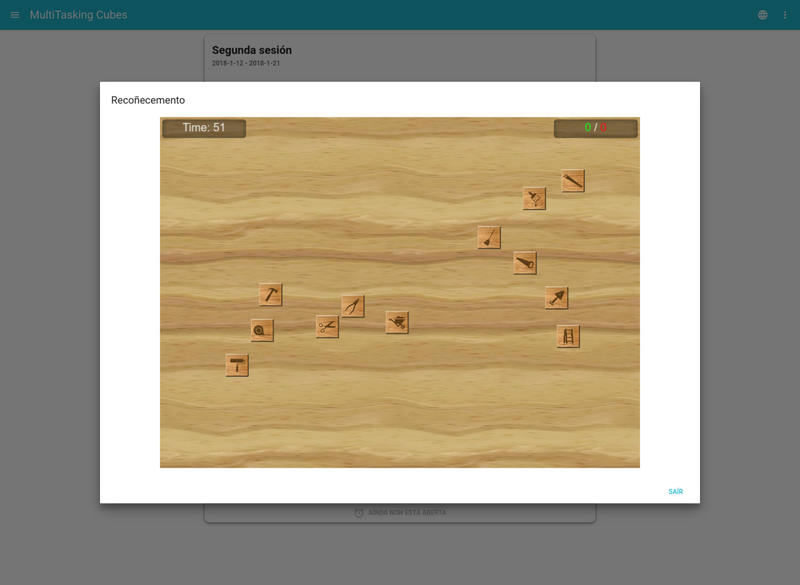 MultiTasking Cubes (MTC) is a project for developing a tool that may be used for cognitive rehabilitation, based on the therapeutic game Memodado, developed by Adolfo Piñón Blanco1. The MTC project provides the web application where patients can play the sessions assigned by their therapist. This project was partially funded by the INOU17-04 project from the Provincial Council of Ourense and the University of Vigo. 1Piñón-Blanco, A. (2010). Memodado. ISBN 13: 978-84-608-1120-6. Cadiz: Universidad de Cádiz - Instituto de formación interdisciplinar.